This is rare coming from Star Trek which usually has a very liberal-progressive theme. 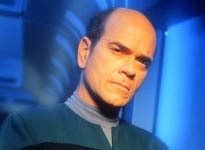 Also, the actor playing the doctor is Robert Picardo who happens to be a huge conservative. You can see him in Atlas Shrugged II. Excellent! I remember this episode well.